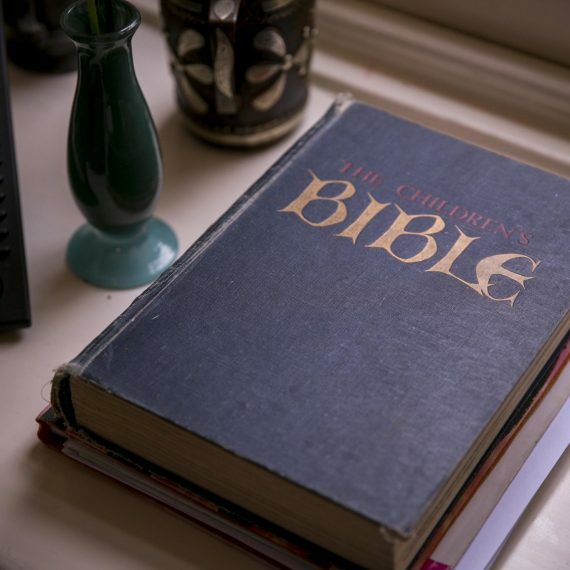 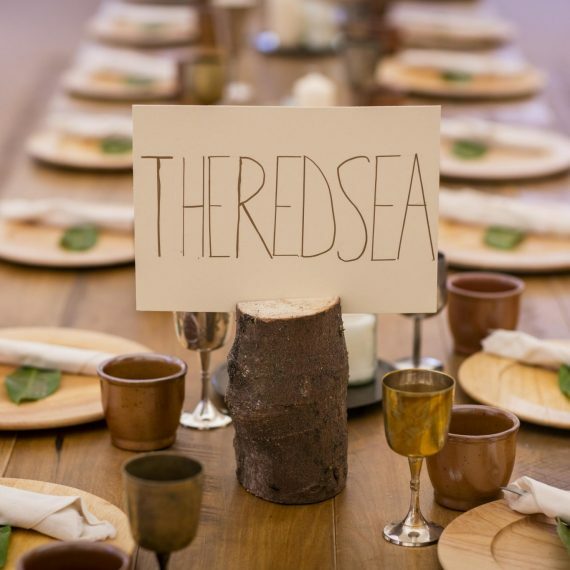 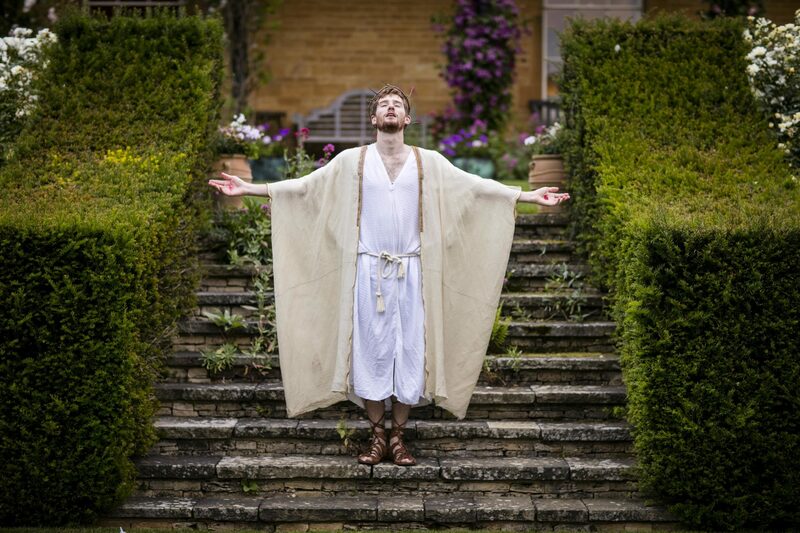 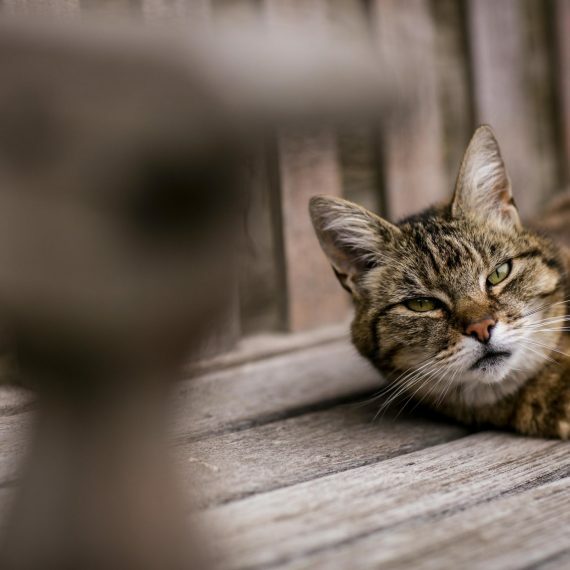 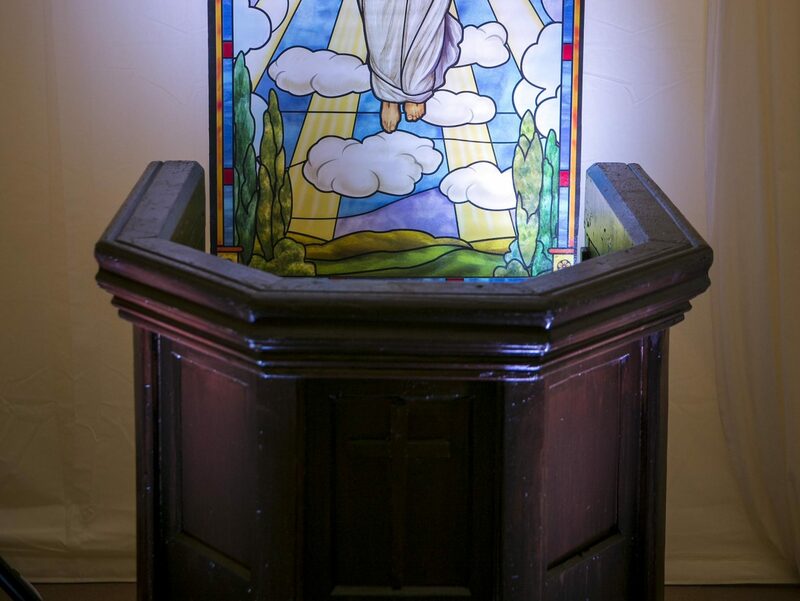 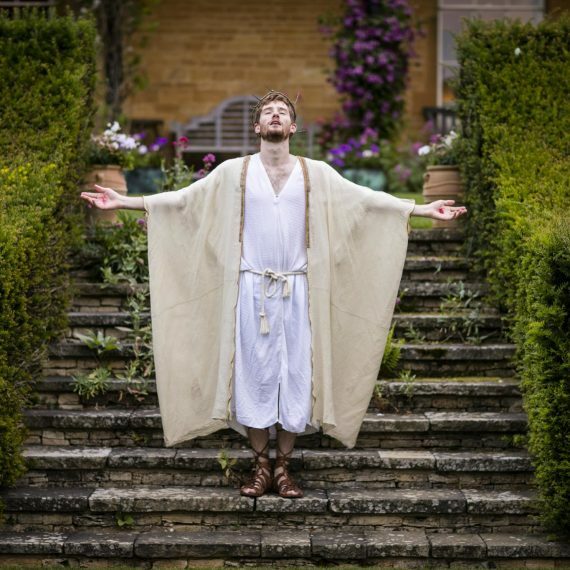 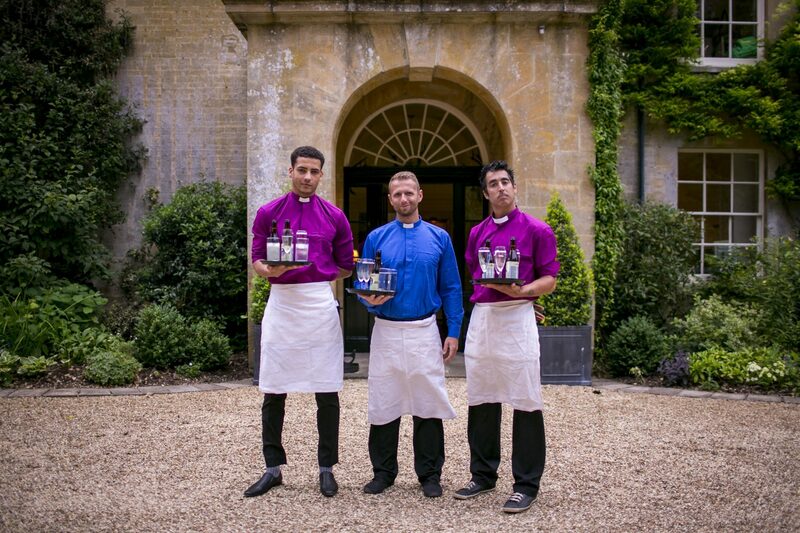 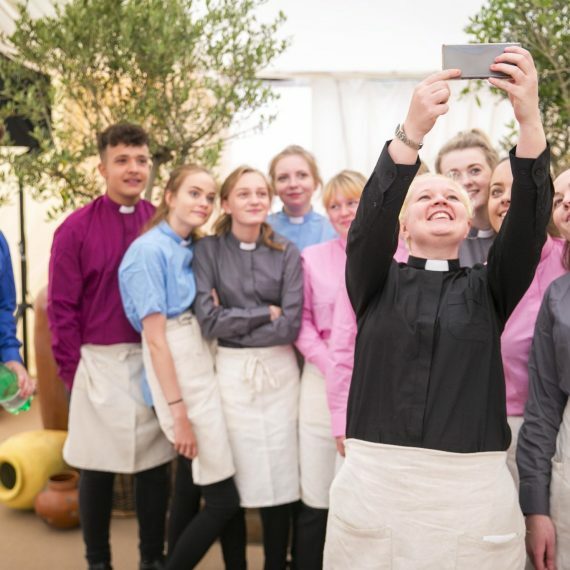 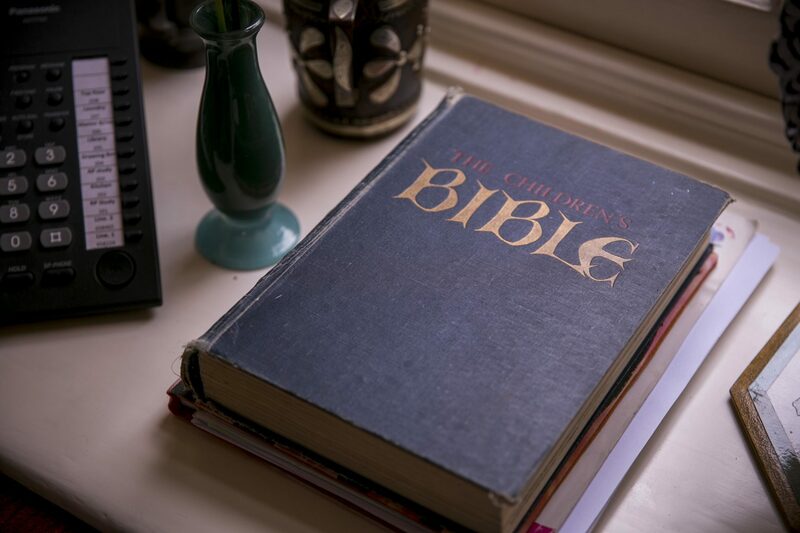 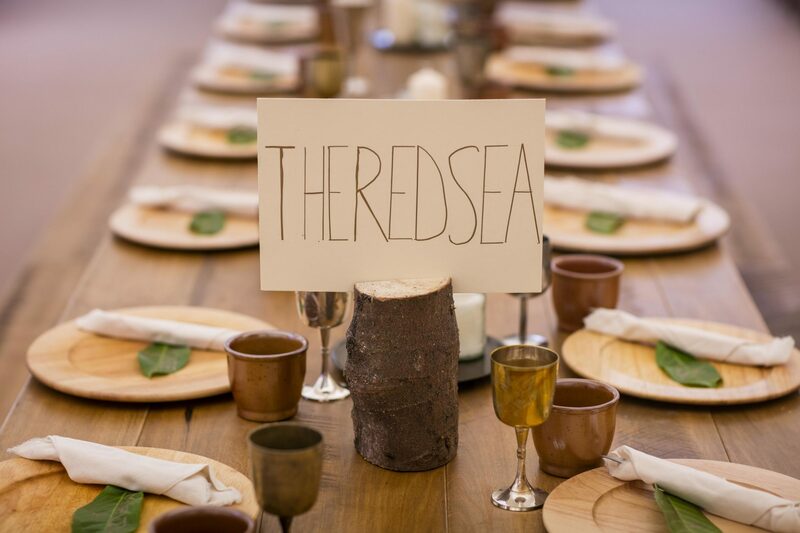 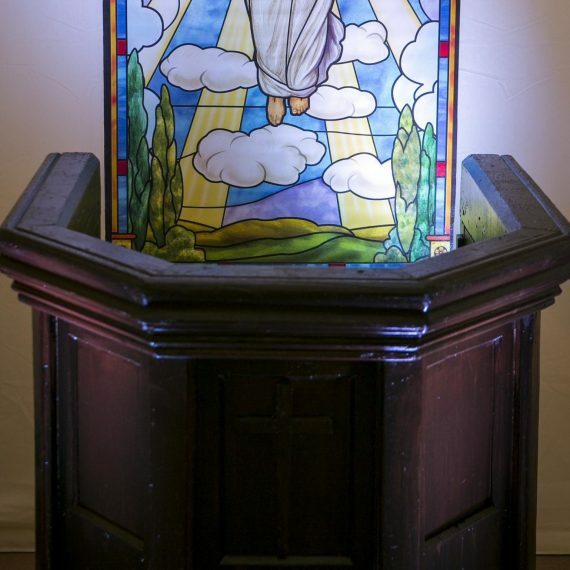 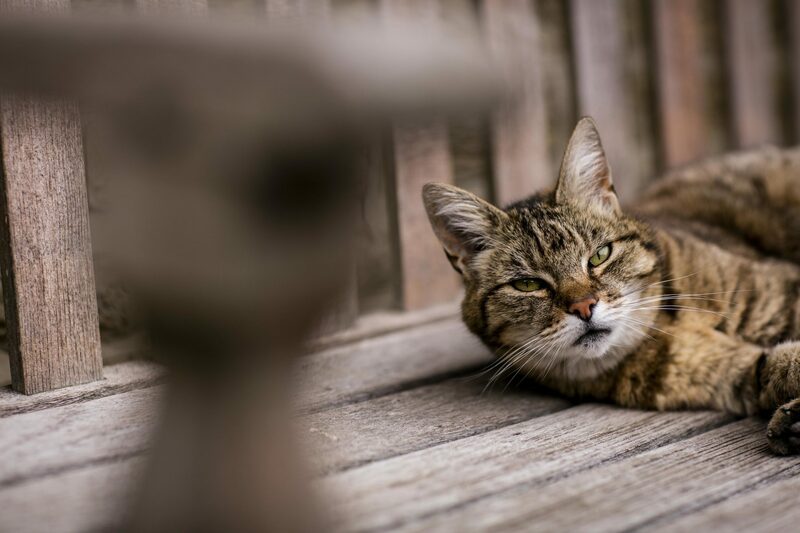 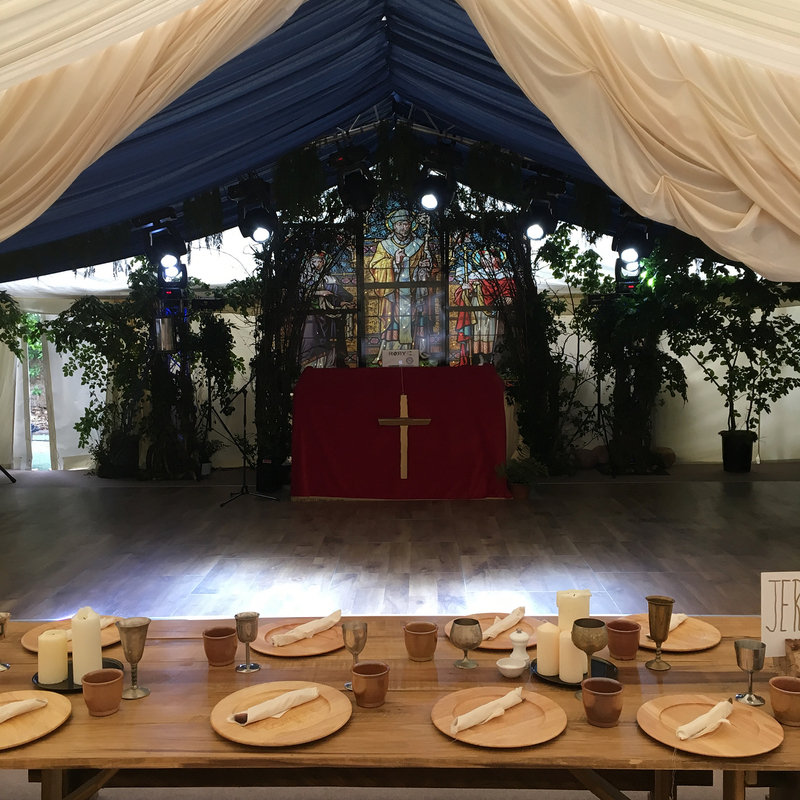 To create a Biblical-themed 21st birthday party for a family in the Cotswolds, which has already hosted two 21sts…. 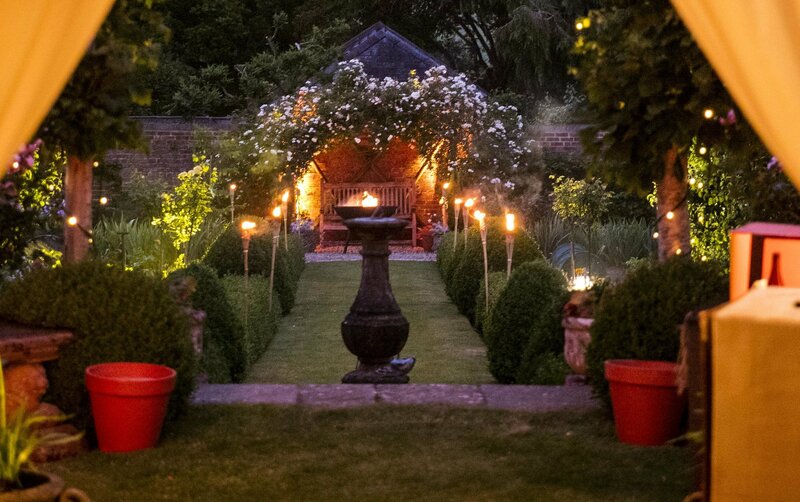 with 200 guests on a summer’s night in Oxfordshire, June 2017. 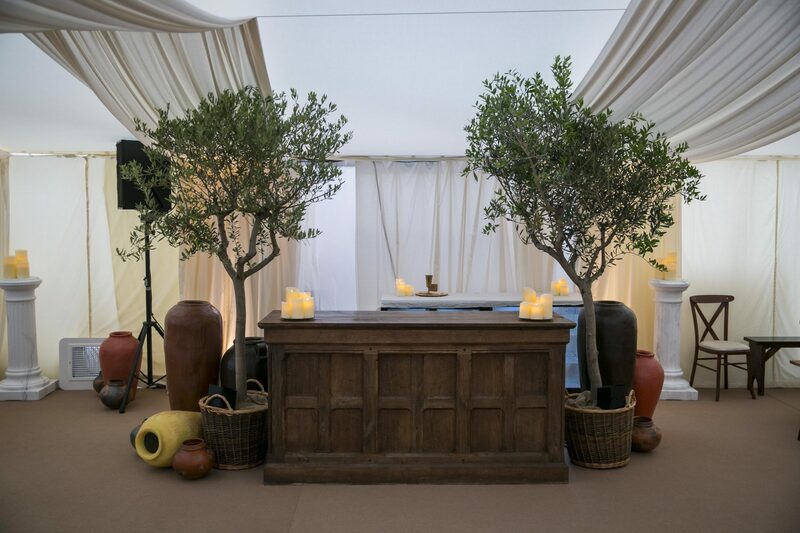 This family likes to party, and we had helped them with event planning do just that for their second daughters’ Moroccan themed 21st in 2014. 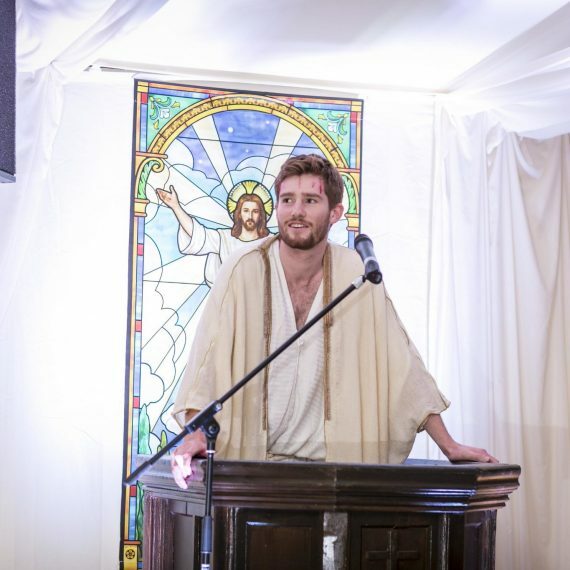 For this final 21st of three siblings, the theme of “Biblical” was chosen by the theology-student host, to encourage guests to research and party in irreverent or fully religious style. 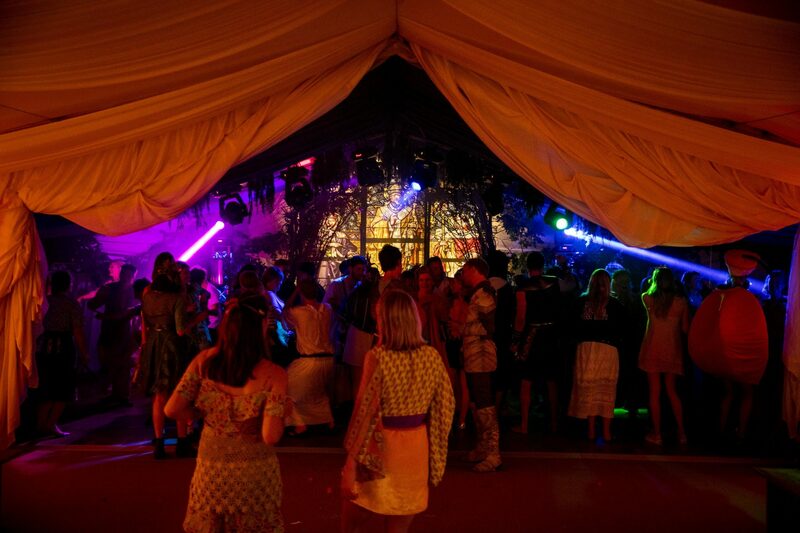 The dressing and theming for drinks was provided entirely by the venue itself, with drinks “at the Rectory”. 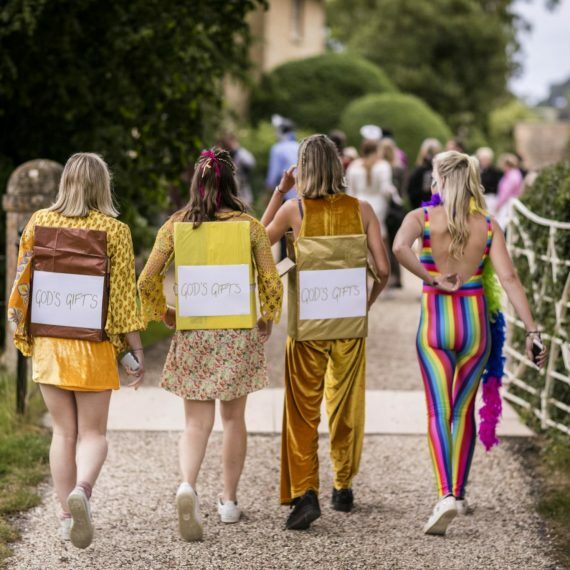 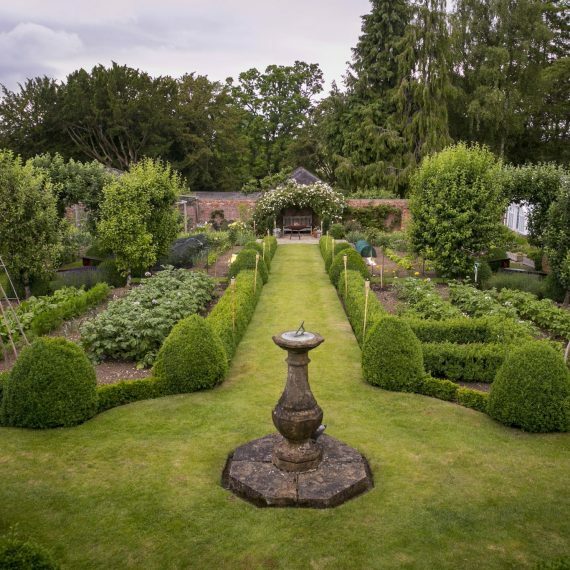 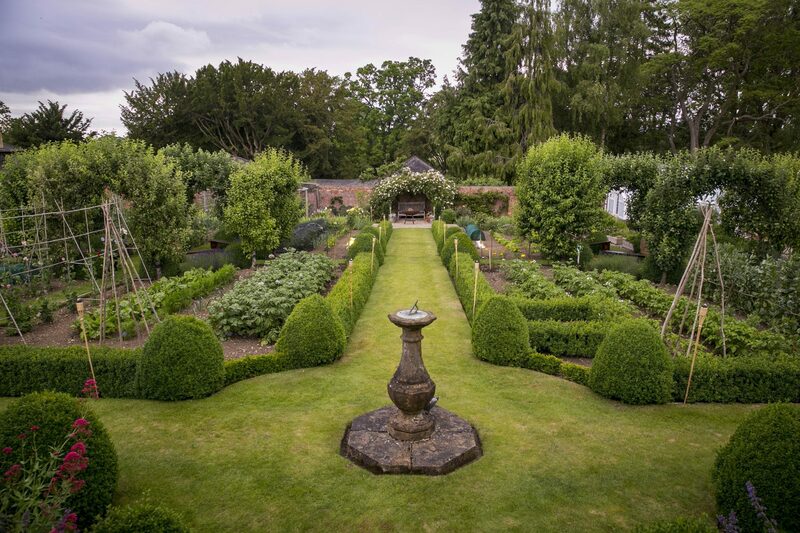 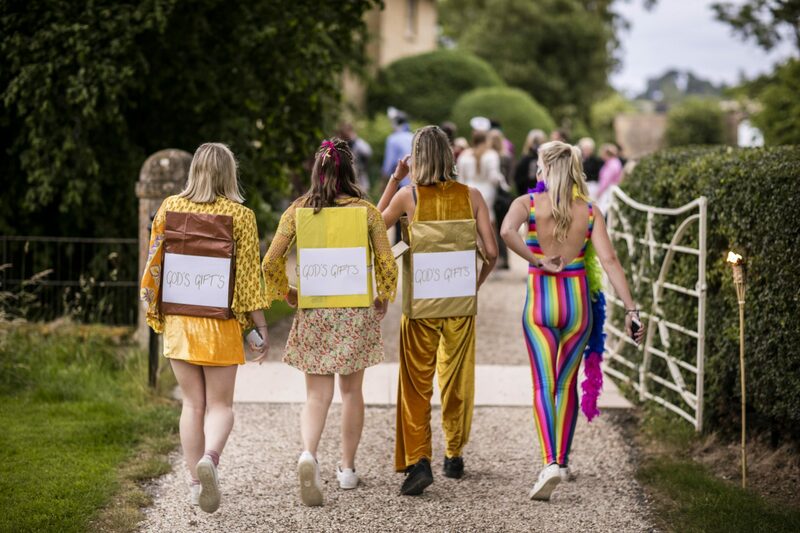 Guests were welcomed with drinks and canapes served from chalices and brass trays on the lawns outside the hosts home, and the epic efforts to dress for the occasion were expertly captured by photographer Thomas Alexander. 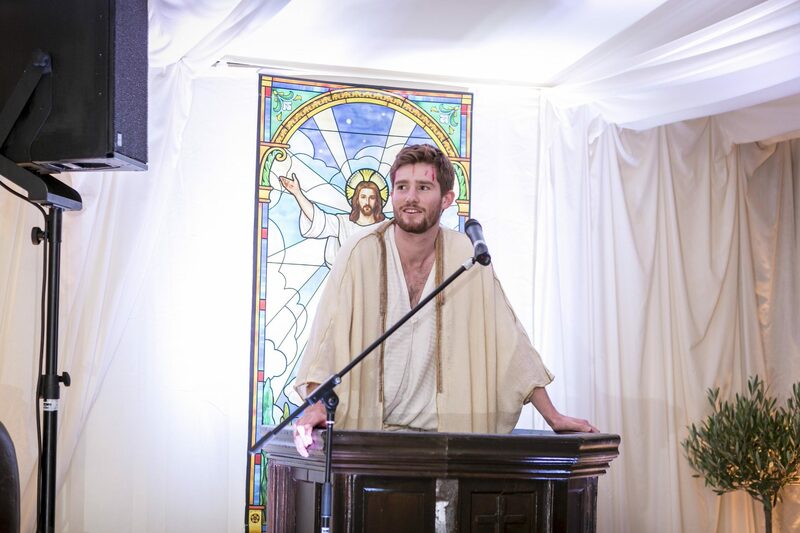 Our host for the evening presented himself perfectly appropriately and was fully in the zone to welcome his friends. 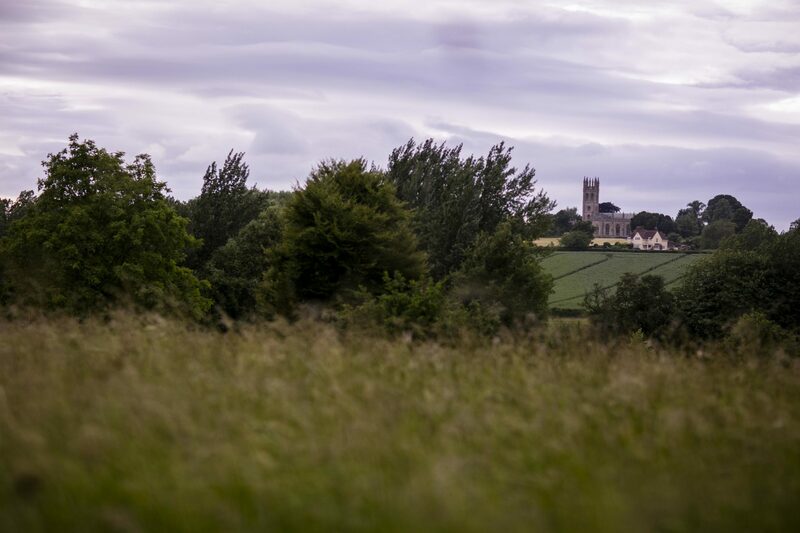 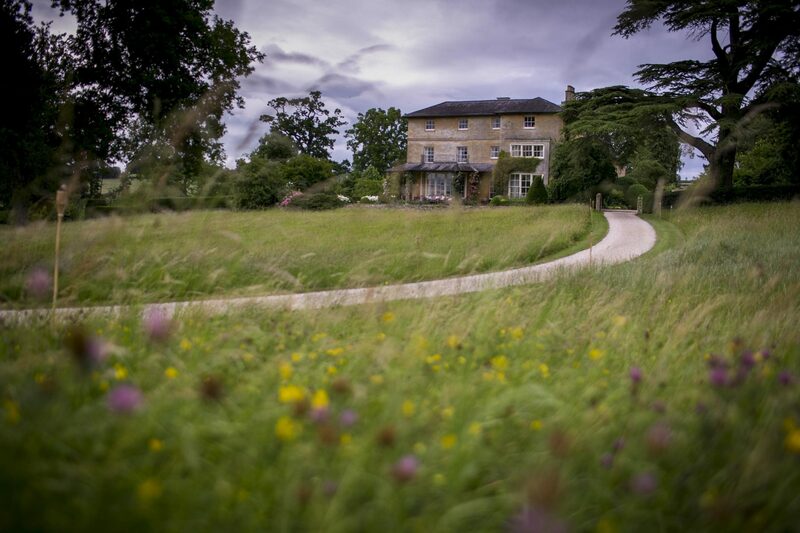 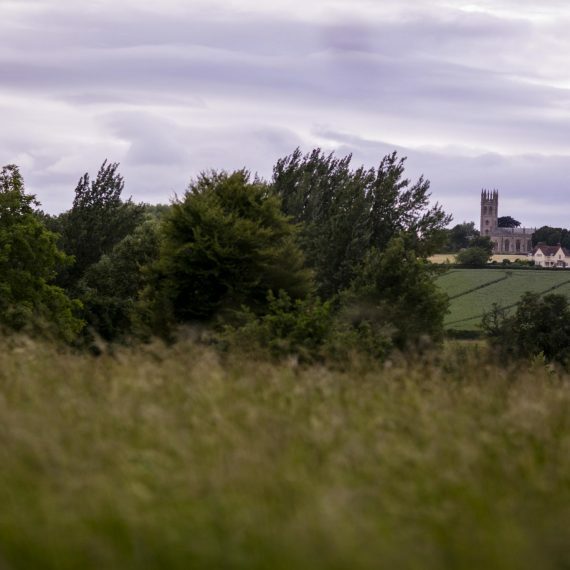 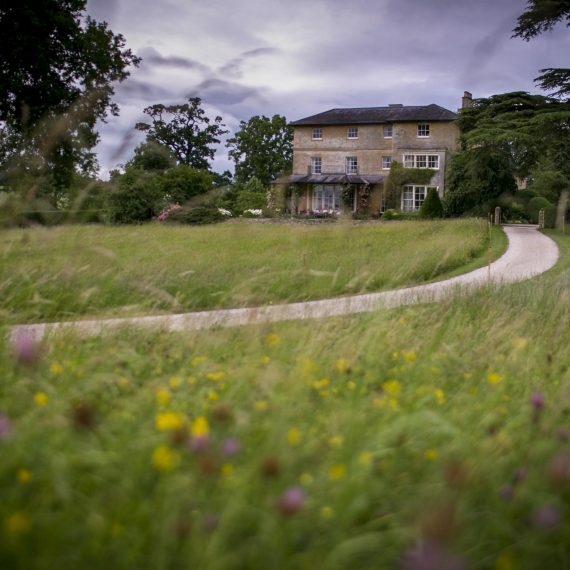 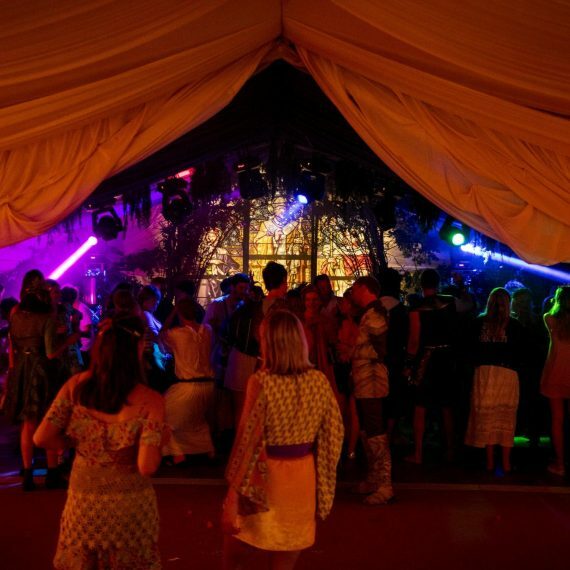 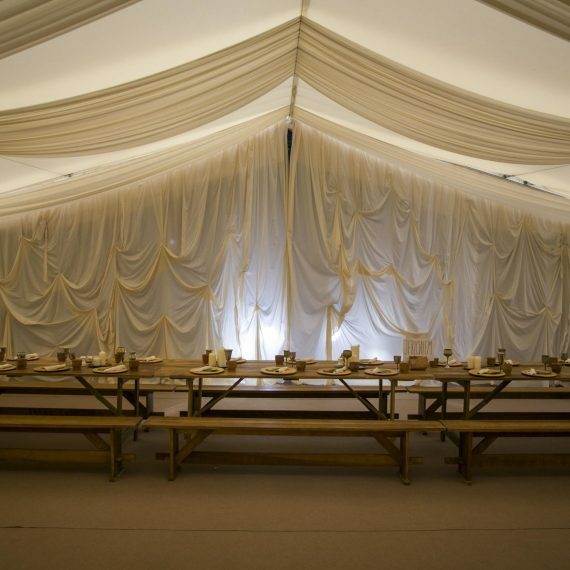 In 2014 the dinner and dancing venue was a marquee on a suspended floor running down a field with a view to the Cotswold hills. 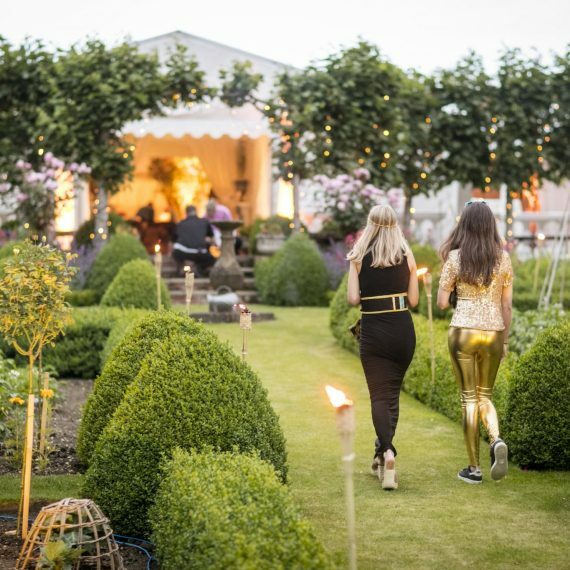 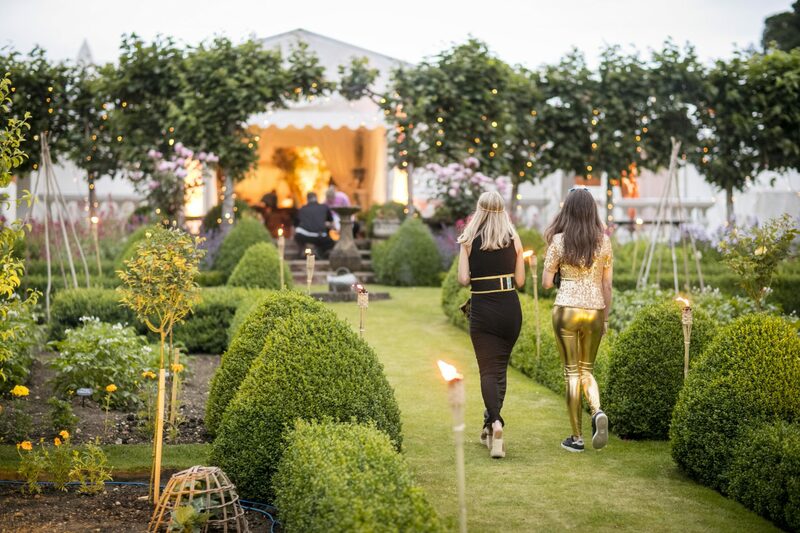 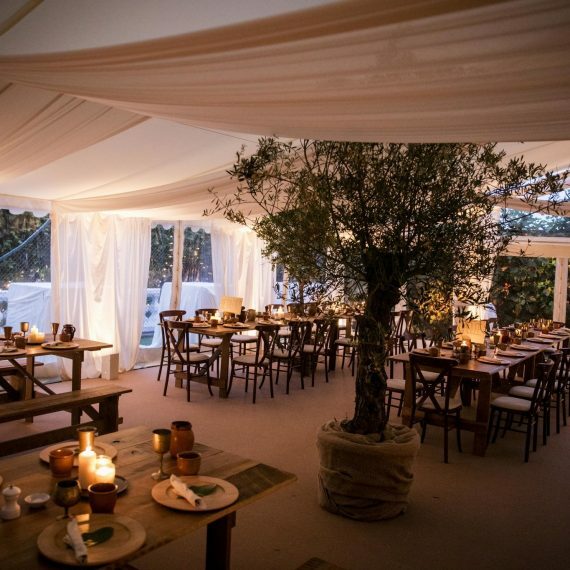 This year, to ensure the host’s party felt like a truly bespoke event, we moved the venue to the tennis court above the walled garden. 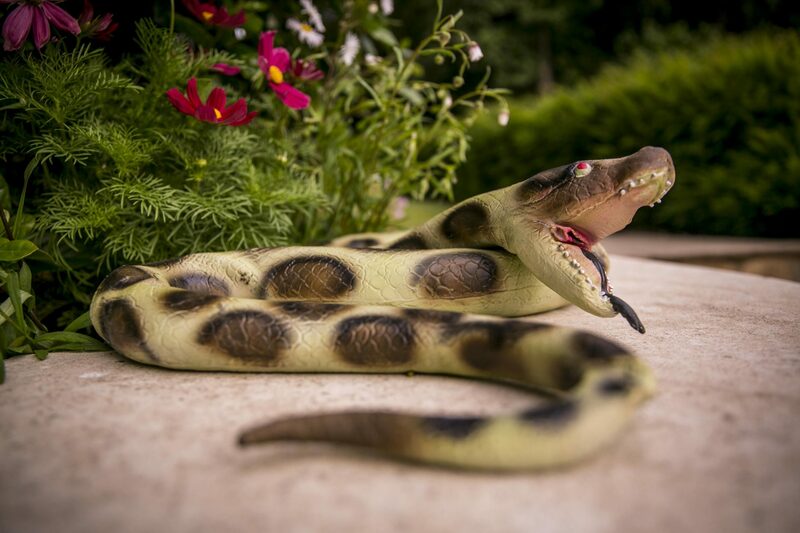 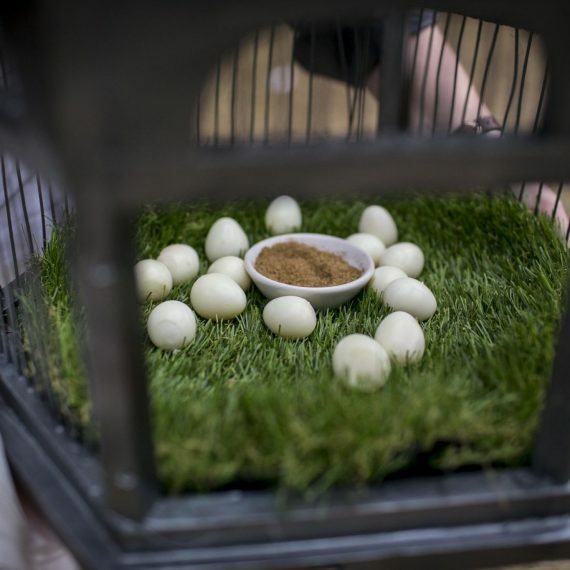 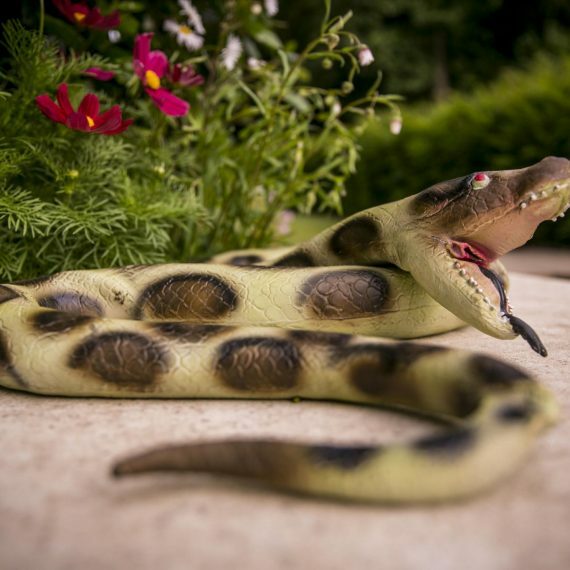 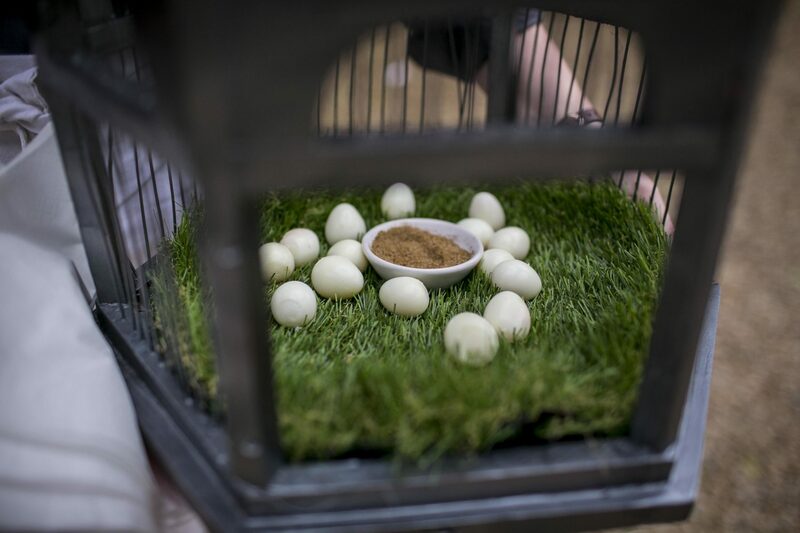 Guests were invited to walk through the stunning garden – the Garden of Eden – flanked by flares, and with the occasional snake twisting through the foliage for those with a careful eye. 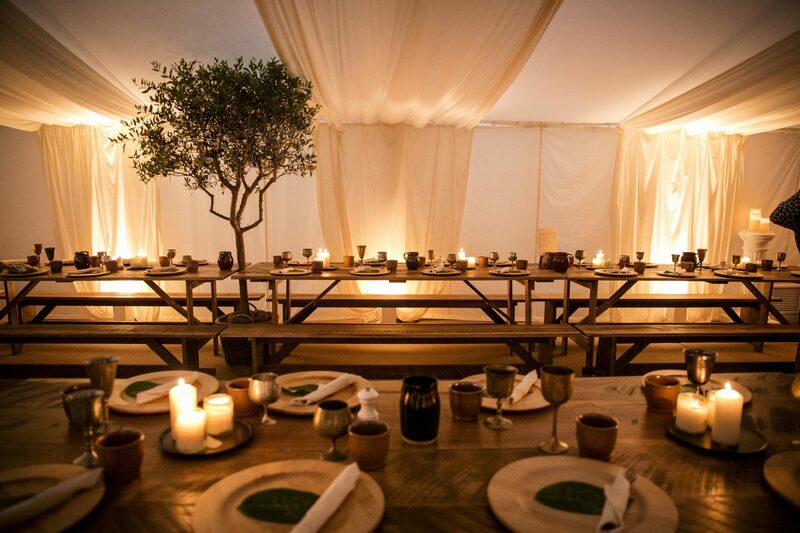 Approaching the marquee guests passed through a temple frontage comprising pillars and balustrades, olive trees and lilies and entered a Last Supper setting on the Mount of Olives. 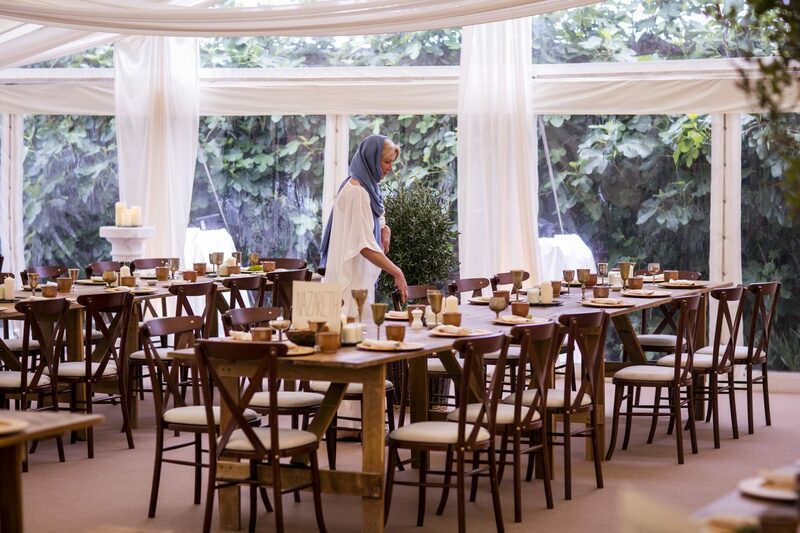 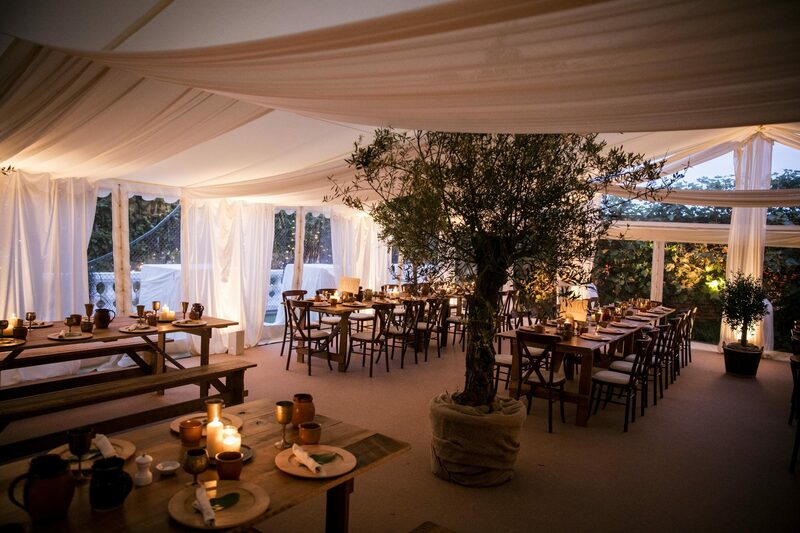 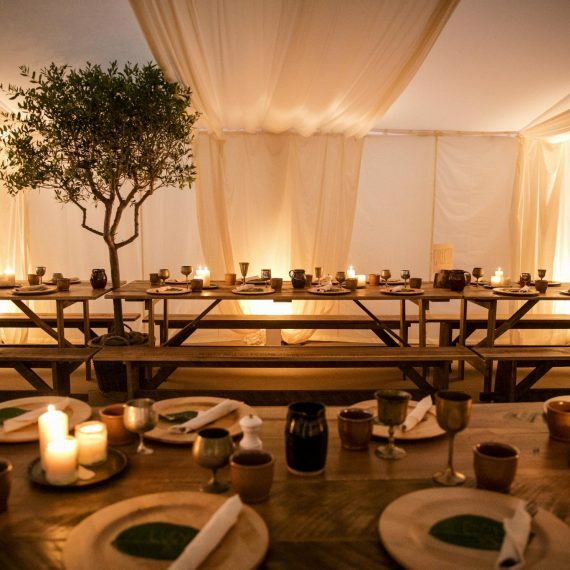 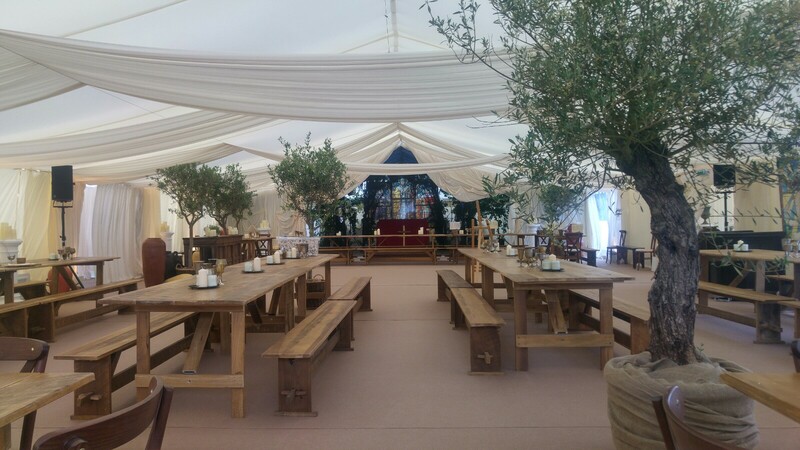 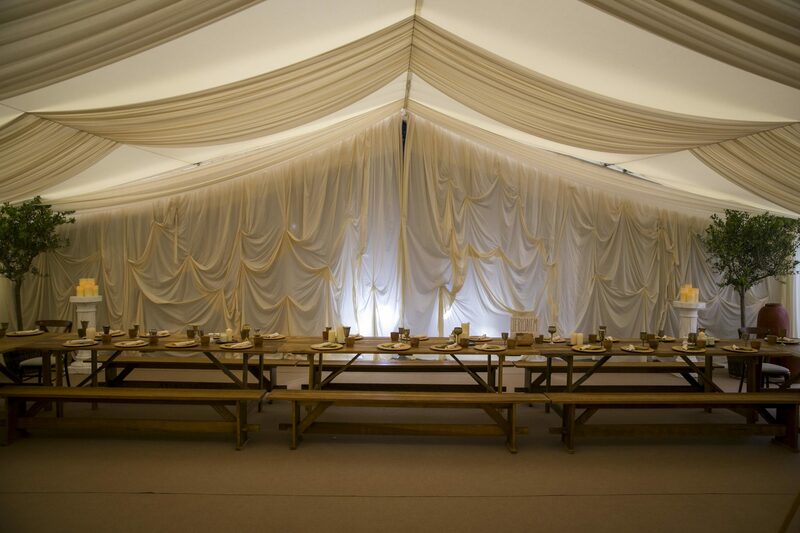 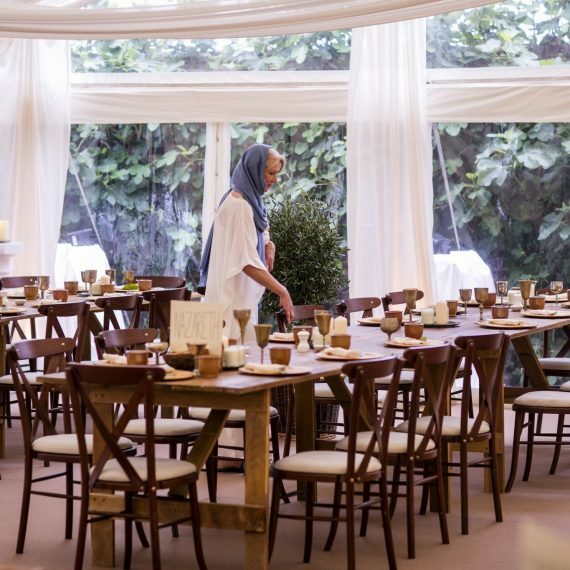 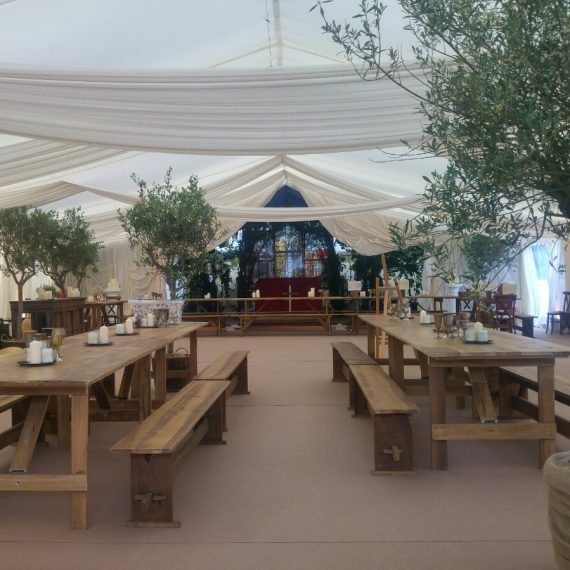 A large venue in the marquee with a simple design comprised wooden tables and benches, large olive trees and copious pillar candles drapes in muslin to evoke the feel of a biblical scene. 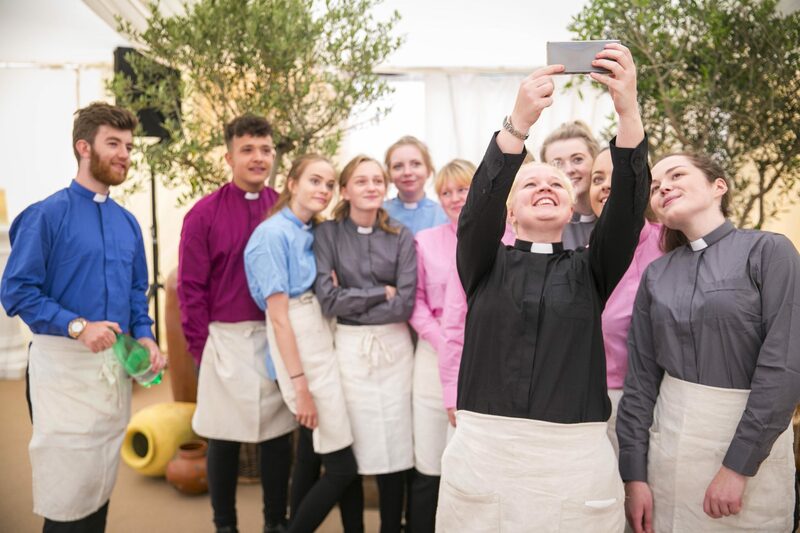 A simple meal of meats and breads was served on platters by Ross and Ross, the waiters wearing tunnel collar clerical shirts in cheerful colours…. 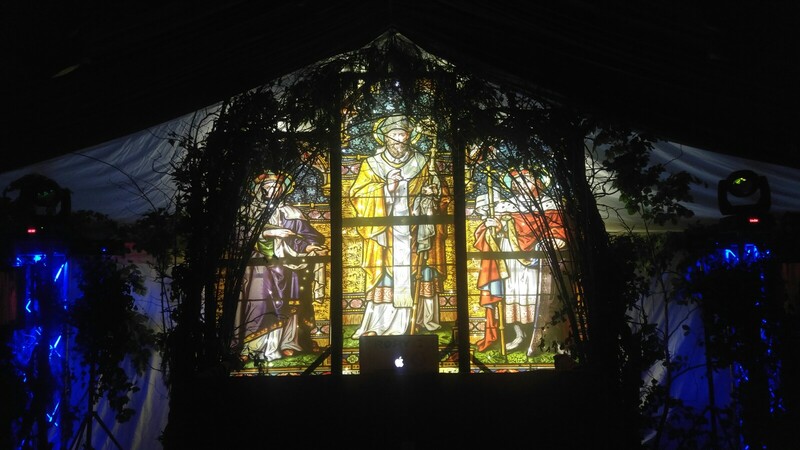 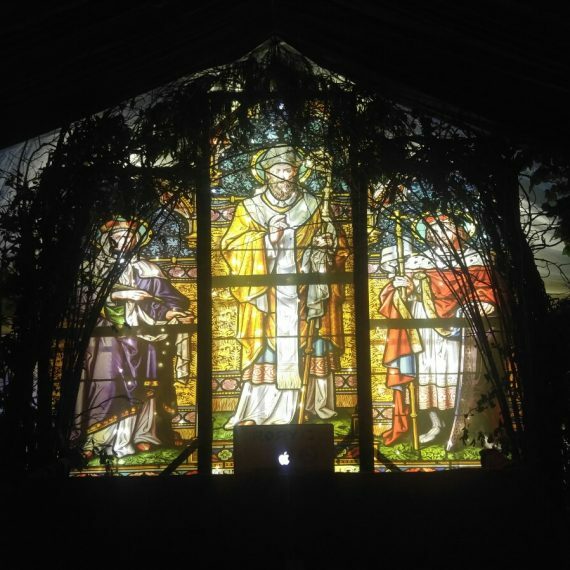 wine and water was served in goblets and clay cups, and speeches were given from a pulpit… of course… A hand finished muslin-draped reveal curtain parted to the sound of the Rolling Stones to reveal our DJ – dressed as the Pope – and a huge bespoke stained glass window was the backdrop for the “Abandoned Church” dancefloor where guests revelled for the rest of the night. 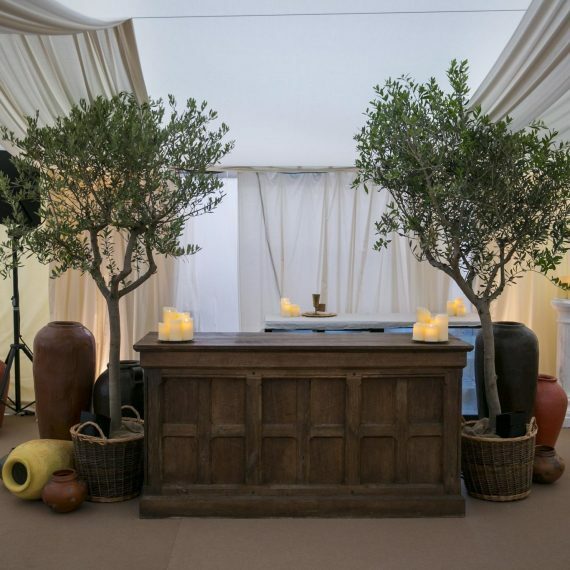 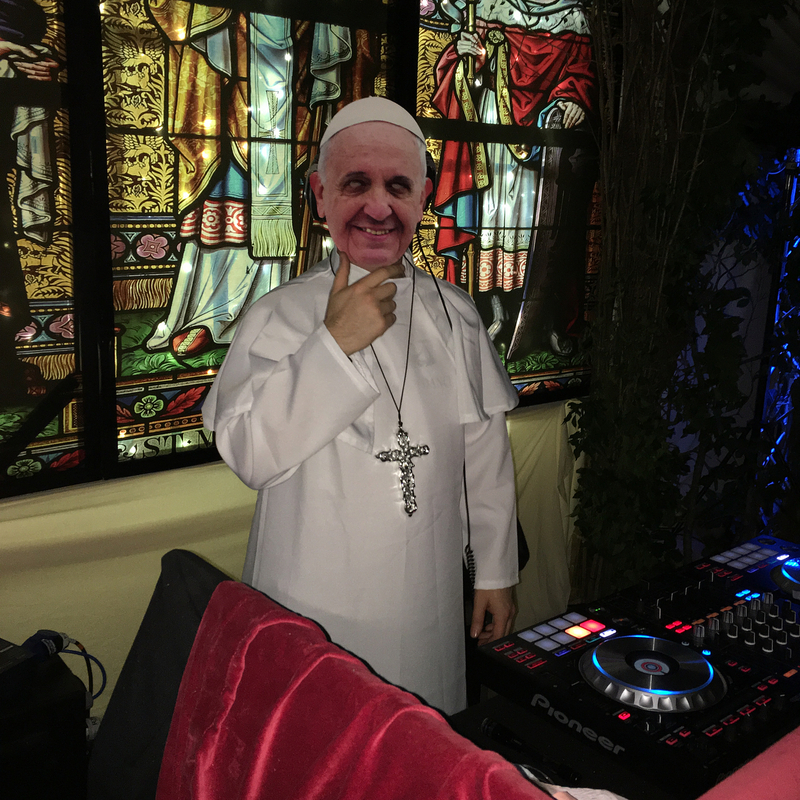 For those in need of another drink, the Ross and Ross team served drinks from a beautiful wooden altar to the side of the room, and the party finally wound down when the last tune dropped just before 5am. 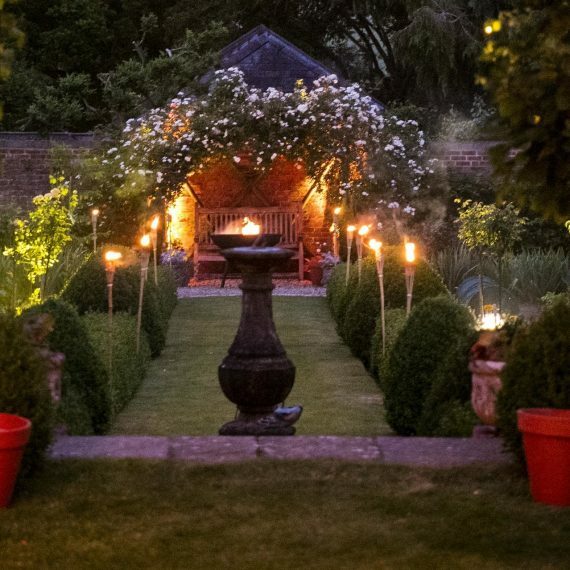 Recorded by the stills photographer, video team and a drone, this was a night to remember for all involved. 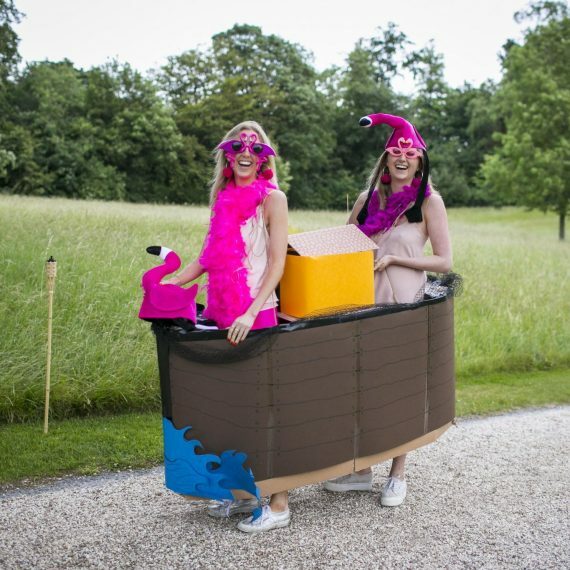 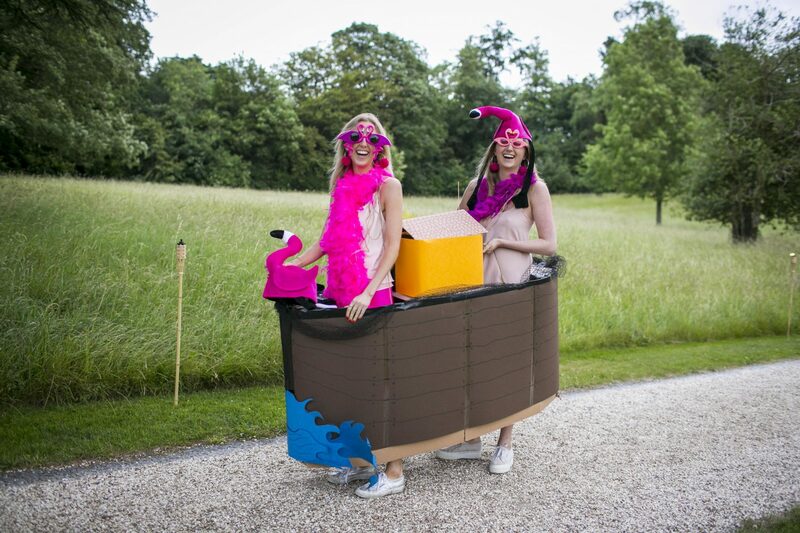 Creatively this was a Cotswold event planner’s dream event, with the freedom to explore and have fun with the theme and provide epic props and dressing to support a gathering of quintessential party people.